Indie, Cinematic, and Pop Styles! 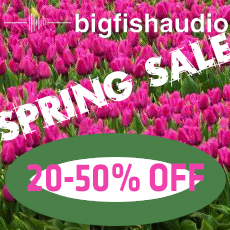 This massive collection of Indie, Cinematic, and Ambient Pop Styles is a showcase of artists and groups like One Republic, Ellie Goulding, Capital Cities, Imagine Dragons, Coldplay, Florence and the Machine, Fun, Goyte, Clavin Harris, Beck, and so many more! Colours contains an enormous collection of Song Kits and Instrument Kits that give you the freedom to simply use one layer of the instrument by itself or increase its depth, complexity, and beauty by adding additional complimentary instrument parts. Colours includes: Male Vocalists (Dry and Wet), Acoustic Guitars, Nylon Guitars, Electric Guitars (Clean, Distorted and FX), Acoustic and Electric Drums, Melodic and Non-Melodic Percussion, Synth Bass, Pianos, Keys, Synths, Pads, Soundscapes, and several additional instruments that provide you with today's Indie Cinematic sound. By giving you the ability to add the amount of depth and texture needed, along with multiple variations and rhythmic figures, Colours gives you total creative freedom and allows you to tweak to your hearts content! Colours Kontakt version is part of the KLI Series and includes a custom user interface with various features to help make it easier to customize the included loops and sounds exactly how you want. You'll find all loops automatically sync to your host tempo. Each loop is presented in three different ways. First, with the "Kit Combos" you'll find each loop as part of a complete construction kit laid out across the keyboard for easy and quick arrangements. Second, in the "Single Instruments" you'll find the various instruments grouped together; giving you the option of having the construction kits content in just a few instruments. Third, each loop has its own patch in the "Sliced Loops" section with our custom loop editing interface. Rearrange, remix, or completely rework each loop to fit with your music exactly how you want. Finally we have included a demo section for quick auditioning of the entire library. Hohe Qualität und sehr umfangreiches Sound-Angebot.